Home » » Nigerian Journalist And His Son Who Died After Fire Gutted Lagos Shopping Complex. Nigerian Journalist And His Son Who Died After Fire Gutted Lagos Shopping Complex. 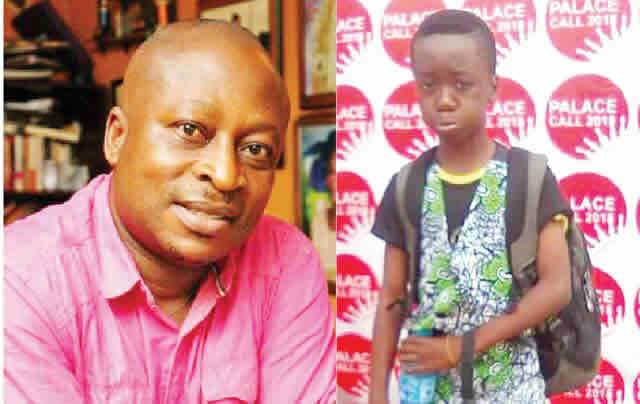 Akinwunmi Dickson, a Nigerian journalist, and his son Nelson, 12, have been killed after fire gutted a shopping complex on Awolowo Way, in the Ikeja area of Lagos State. Punch Metro reports that the deceased were asleep in an office in the complex when the incident happened around 5am on Sunday. An eyewitness, Wasiu Hamsat, said the 50-year-old, who published a brand magazine, Brand Campaign, and his son were choked to death by the smoke of the fire, adding that their corpses were found at the entrance of Akinwunmi’s office. The Lagos State indigene said, “I was asleep when I heard a noise around 5am. People were shouting that a building was on fire. We quickly called the fire service. The 20-year-old said, “The fire started inside a boutique. One of the boutique’s air conditioners that had fault caused the fire. The owner of the boutique had travelled; so one of his boys switched on the air conditioner. The Public Affairs Officer, Lagos State Fire Service, Mrs Bola Ajao, also confirmed the incident to our correspondent, adding that the nearest fire stations were mobilised to the scene. She said, “Our control room were informed around 5.40am and we arrived at the scene of the fire around 5.44am. Ikeja Fire Station responded, while Alausa Fire Station provided the back up a few minutes later.